Cab Fuse Box ID?? Help!! 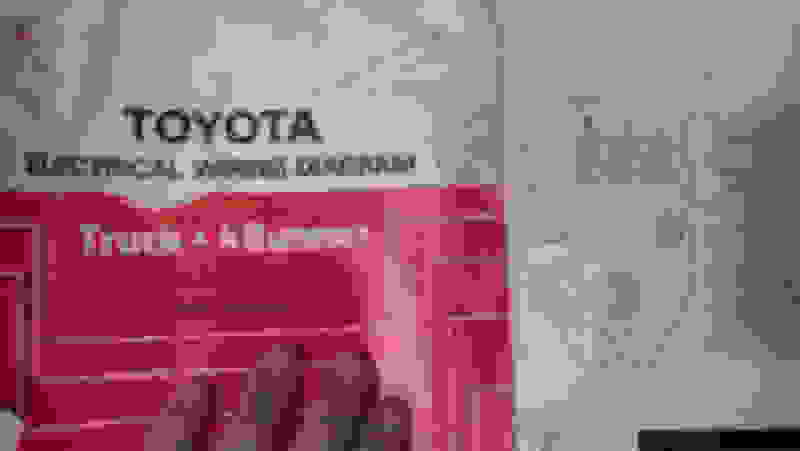 Toyota Tacoma Fuse Box Diagram<br>Important information to help you understand your Tacoma. 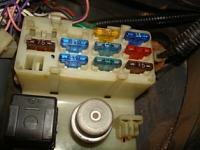 Does anyone have an interior fuse box that looks like this? 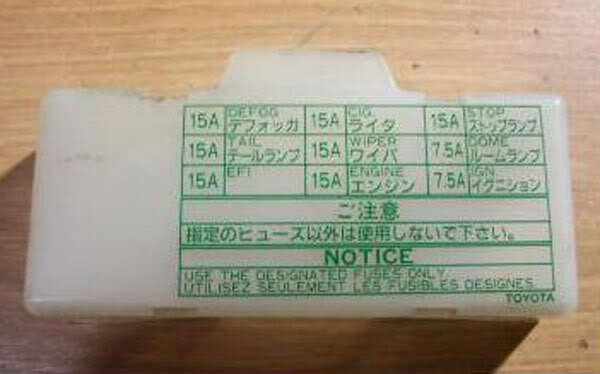 I recently got the truck, and there is no fuse box cover to help me ID which fuse controls which function. It's a 1987 truck, but it may have a slightly newer (e.g., 1992) engine. 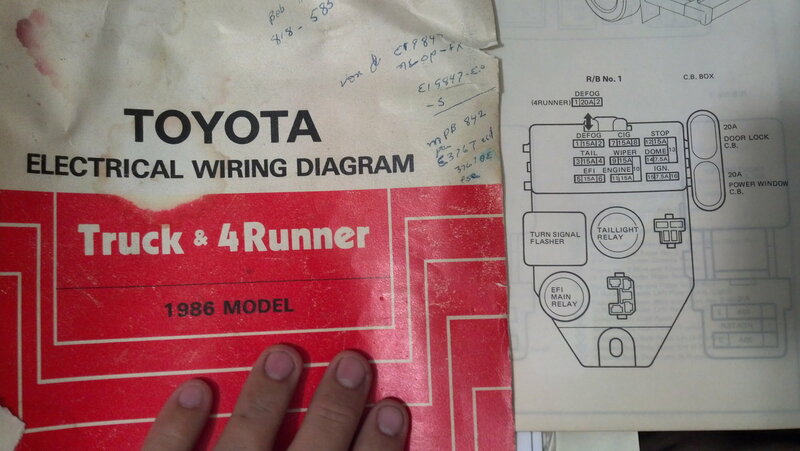 It just isnt match the 3x3 fuse box diagram I have seen from other owners. Thanks!! This is off of my 88 Runner. Thank you! Do you think that is just for the 3 columns (of 3 fuses each) on the right of my fuse box? What about the two spaces on the far left? If so, my fuse sizes are WAAAAY off. Not sure this is the right diagram... Thoughts?? looks fine to me, you have the two 75's inthe right spot, then use those for reference..
the 15s above it, then go from column to column. 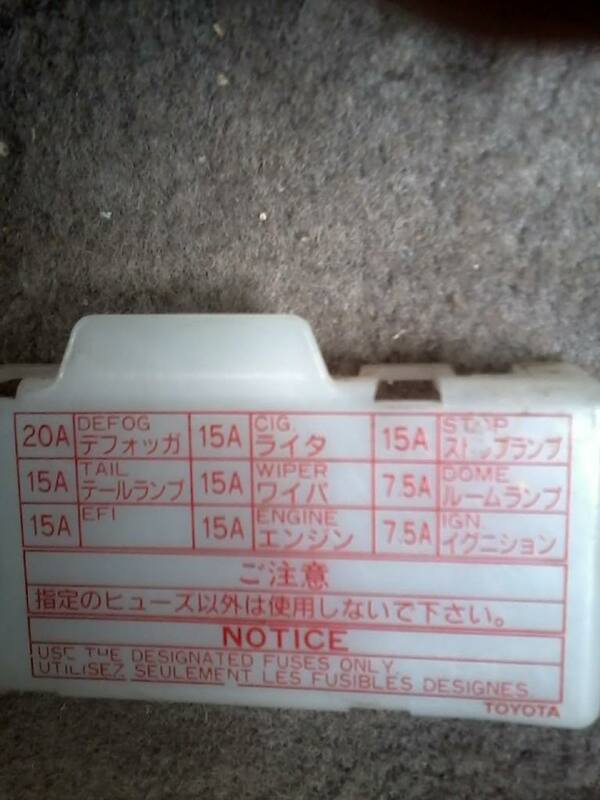 that fuse cover only covers the 3 columns of fuses, not the far left fuse holder, which is just a holder iirc. Not sure what year this one is from, I'll assume it's from an 86-87(since it differs slightly from the 88 shown above). Correct. 2 spare fuse holders and the spot just below those is for storing the plastic fuse puller tool(my 88 still has it...but no cover ). Last edited by MudHippy; 12-23-2011 at 06:15 PM. Does anyone know what the two round fuses are for? I just bought an 89 4runner and dont know what they are two. I dont have a cover either. Do you mean the relays?? Yea sorry the two round relays. I have a 86 yota and i tried to install an aux on my Alpine cd receiver from behind the receiver (cd changer) and now i cant seem to get my receiver to work. The door buzzer and ignition buzzer stop working. Do you guys think its a blown fuse? Im no car expert and never work on cars in my life. Pls help. Last resort is Car Toys. Last edited by LoveToyo 86; 10-06-2015 at 03:11 PM. I would suspect a fuse. Most electrical problems I run into is from aftermarket stereos and trailer lights being hard wired in to the factory harness. If all your fuses are good, I feel you probably have one of the two not wired in right. Last edited by Terrys87; 10-07-2015 at 07:19 AM. Thank you so much Terrys87. You are awesome. OBMI thanks as well. Great website. Newbie with 02 3.4l Taco AT with shifting issue. Any precautions when installing ECU? Quick Reply: Cab Fuse Box ID?? Help! !